Dahegam Nagarpalika, Dahegam, Dist. 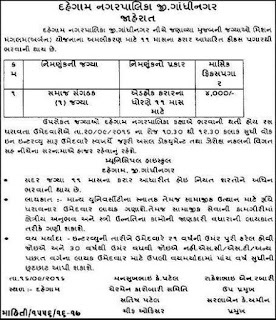 Gandhinagar Published Recruitment Notification for Community Organizer Posts. Qualification : Graduate from Recognized University. 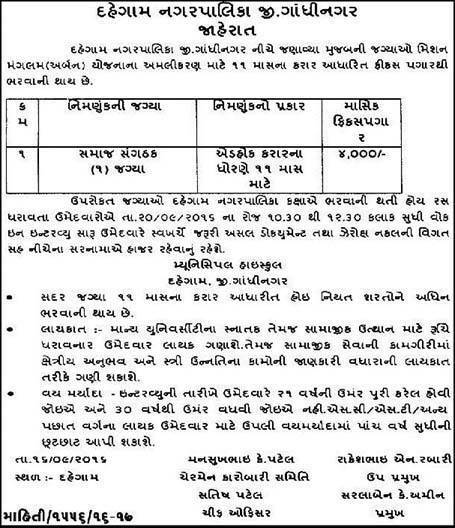 Walk in Interview Place : Municipal High School, Dahegam, Dist. Gandhinagar.